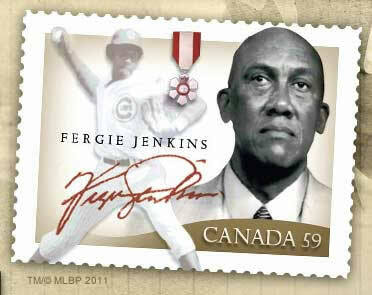 The Foundation has two Fergie Jenkins Bobbleheads available to the public. Each bobblehead comes in protective wrapping and is signed by Fergie with his HOF '91 inscription. You can have this original Fergie Jenkins Chicago Cubs bobblehead for a donation of only $40. You can have this new Limited Edition Fergie Jenkins Chicago Cubs bobblehead for a donation of only $50. Signed by Fergie this unique item is a great gift for Fergie and Cubs fans and has limited quantities.